Just when you thought it was all over, you missed one! By this time of the year you’d be forgiven for thinking that the cycling season was all done but we’ve got one big race left. Set alongside the stunning scenery of Lake Como, the Lombardy is a brutal climax to the season that understandably a lot of big names sit out. By the time October rolls in a lot of big names are just spent, but fear not there are still some big guns in the mix this year. This is the 108th edition of the race so in cycling terms it’s about as old as it gets. This year the course has been altered drastically for the first time with it starting rather than finishing in Lake Como. 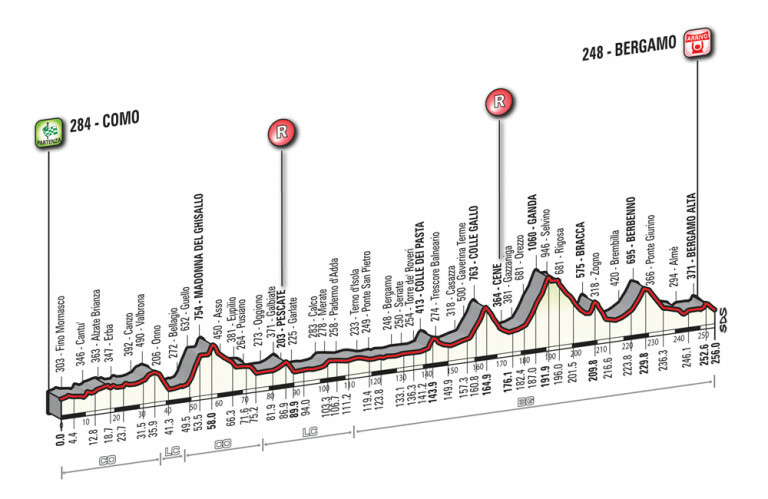 The course moves along “nicely” for a brutal 256km and there’s plenty of hills to break up that peloton, which should lead to several breakaways. All the big teams are competing, it’s pretty much the same line up team wise as the Tour de France. Whilst some big players are taking a rest from this the list of past winners is pretty impressive with Joaquim Rodriguez winning the last two. Notable past winners include Sean Kelly, Bernard Hinault, Eddy Merckx, Fausto Coppi and Gino Bartali so it’s certainly got the credentials. This is a the last of the classics and while the others are early on in the season and just spread over 5 weeks, this is way out the back so fans do often miss it, but don’t! This is race that the Italians love, both the spectators and the riders turn out in force to battle it out with riders from all over the world. The Italians are way ahead in the overall rankings, they’ve won it 67 times compared with the next best country of Belgium at just 12. You can bet that this year the Italians will want to win it again but will they? Well the determination will certainly be there, they haven’t won it since 2008 and that’s not good for a local race that they like to dominate. Who’s in the frame for a win? Giovanni Visconti could be one to watch out from the home growns for but he’s likely to be supporting Alejandro Valverdes charge if he has the legs. Alberto Contador heads a very strong Team Saxo so don’t write any of them off. We think Team Sky are looking a bit weak and lacking any leadership for this one so on paper it looks like a training ride for them. Ben Swift is their best hope but this course does’nt look like his favourite type. But for us Michal Kwiatkowski is probably the best bet for a win on Sunday, the course suits him and he’s certainly in form so we’ll punt for him. The race is live on Eurosport this Sunday October 5th, it’s got the terrain, the scenery and it’s got the line up so don’t miss it we think it’s going to be fitting climax to a great year of cycling. Would Your Bike Be Allowed in a UCI Race? 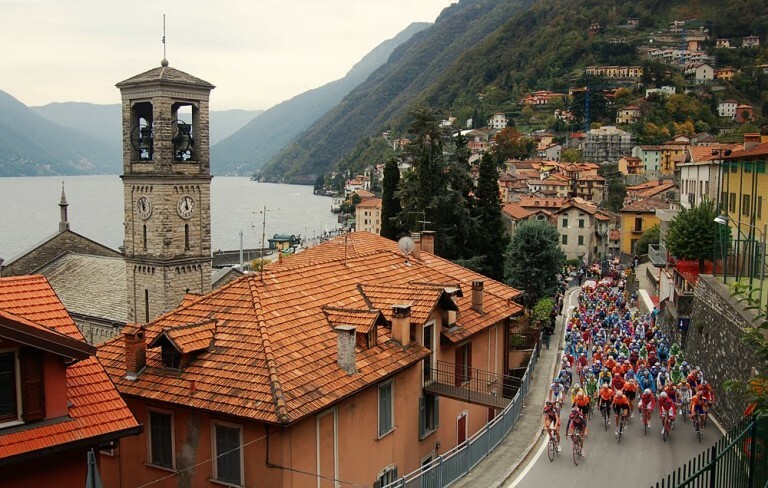 Tagged cycle race, Cycling, eurosport, giro di lombardia, il lombardia, italy, lake como, uci. Bookmark the permalink.